Socket Weld fittings are used in systems requiring exceptional strength of welded joints and are mainly used for small pipe diameters. These fittings have the advantage of providing strength similar to a welded joint while offering speed and efficiency when joining pipe, tube, fittings and valves together. 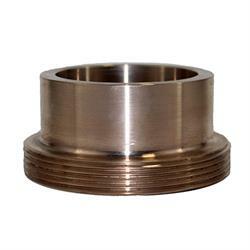 Socket weld fittings can also be used in place of threaded fittings, causing the risk of leaks to be much smaller. Looking for someone to help or request a quote, you can call us at +1 800.962.9696 or fill out our contact form. Dimensional and specification information shown here represents common industrial & commercial standards. Actual dimensions may vary by manufacturer, please contact your local W&O office for specific information.